So on a freezing cold day in December with amber weather warnings about Storm Caroline what do you do in Scotland? 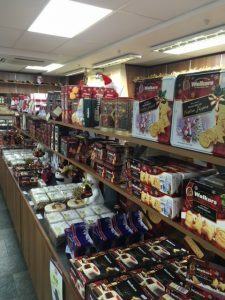 Well in true Scottish fashion you remember that the weather is only a retail opportunity and you drive out over Dallas Moor to visit Aberlour or more specifically to visit the Walkers Shortbread Shop for extra Christmas treats. 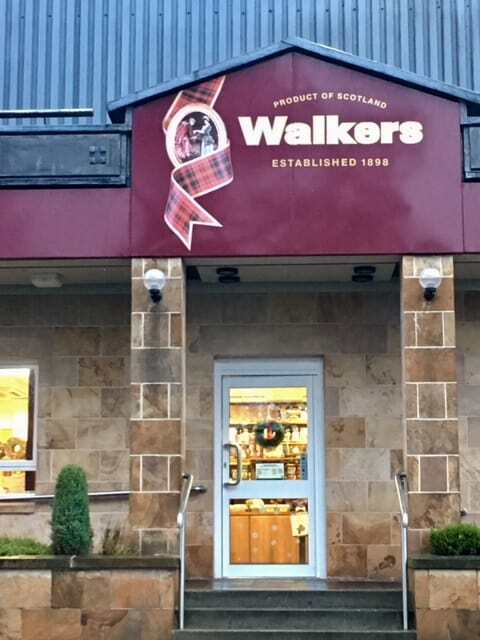 You will find Walkers in Aberlour home of the whisky of the same name, situated on The Spey, the drive there is entertainment alone – snowy moorland, majestic mountains, the spectacular Spey and the smell of malting whisky in the air. If you enjoy Scottish scenery you will love this drive. 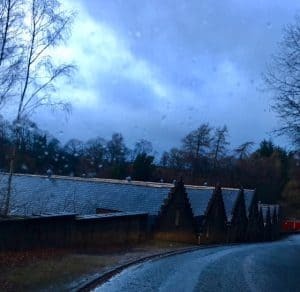 Whilst there take a tour of the distillery and learn the legend of the chattering burn, visit The Speyside Way Visitor Centre or take a good walk to see the Packhorse Bridge by Linn Falls followed by tea in the town. Moray has an abundance of world-renowned food producers and Walkers is no exception. Established in 1889 this family firm produces 40,000 tonnes of Shortbread a year and is oatcake supplier to Her Majesty The Queen. But Christmas is coming and the mince pies are there in the shop, small ones, large ones, traditional or newer flavours. And then there is Shortbread the traditional “first- footing” gift for Hogmanay. Ideally this same first footer should be male, dark and also bring coal, black bun, salt and whisky! However I digress and am caught up looking at the fruitcakes, biscuits and I am not sure how the girls managed it but they managed to get me to try a new Chocolate Mint biscuit – delicious I might have to go back and get some more of those. 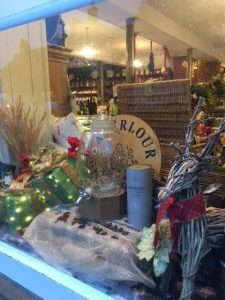 Of course while you are in town don’t miss The Speyside Larder another charming village store and enjoy the beauty of this attractive village before you drive home back across The Spey and past the whisky in the distinctive bonded warehouses of this area.